In the run up to our conference Dr Lonny Shavelson spoke on BBC Radio Scotland along with Gordon Macdonald (Care Not Killing) and Rona Tynan (MS patient from Inverness). You can listen in here starting at 2.22.00. Lonny spoke about the need for change and about how the choice is made by a small number of people and that across the 7 states who have legal medical aid in dying in the US he has yet to come across a situation where someone has made the choice to use this option due to family pressure. Rona spoke about how she felt it is cruel to not let someone end their life peacefully, and that we need to recognise that there is no one size fits all in end of life care and services need to be geared up to meet individual needs. The post Conversations About Death and Dying – Radio Interview appeared first on Friends at the End. The Falkland Islan ds Legislative Assembly has voted in favour of a motion to support the right of terminally ill islanders to choose a dignified assisted death, by a margin of four votes to three, with one abstention. The Legislative Assembly also passed a second motion stating that in the event that assisted dying is legalised in the UK, the Falklands Islands will also introduce it. Humanists UK, which campaigns for a change in law to allow those who are the terminally ill or incurably suffering to have an assisted death, welcomes this vote. These motions on the Falkland Islands follow debates in the crown dependencies of Guernsey and Jersey on assisted dying. In May, the States of Guernsey Assembly voted against proposals which were brought forward by Chief Minister Gavin St Pier and were supported by Channel Islands Humanists and Humanists UK. Humanists UK Director of Public Affairs and Policy Richy Thompson commented, ‘Although this vote does not directly change the law on Falkland Islands, it is indicative of growing support for change across the UK, crown dependencies, and overseas territories. 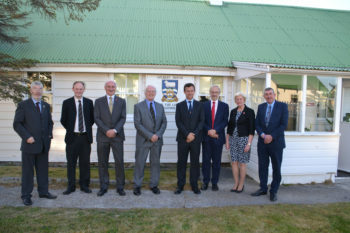 The Falkland Islands are leading way on this issue. In 2013-14, Humanists UK intervened in support of Tony and Jane Nicklinson’s and Paul Lamb’s attempts to overhaul the law on assisted dying for the terminally ill and incurably suffering by taking human rights cases through the courts. Humanists UK also supported subsequent attempts in the UK Parliament to legalise assisted dying for the terminally ill. 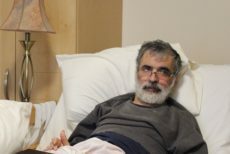 This year, Humanists UK intervened in the Court of Appeal case of its member Noel Conway, who is terminally ill, and is intending to do the same in the anticipated High Court case of its member Omid T, who is seeking to also allow assisted dying for those who are not terminally ill but are incurably suffering. The post Statement on Outcome of Guernsey Vote appeared first on Friends at the End.